A large Chinese conglomerate is moving ahead with plans to acquire an American insurance company after a government panel that vets foreign deals for national security concerns dropped its objections. China Oceanwide and US insurer Genworth Financial (GNW) said in a joint statement Saturday that the Committee on Foreign Investment in the United States (CFIUS) — which vets deals that could give foreign companies control over US firms — "concluded that there are no unresolved national security concerns with respect to the proposed transaction." The deal still needs approval from Chinese, US and international regulators. Oceanwide chairman LU Zhiqiang said in a statement that the CFIUS decision to not block the deal marks a "major step in our efforts to complete this transaction, which will strengthen Genworth's financial position and allow us to bring Genworth's insurance expertise to China." CFIUS is a secretive multi-agency federal task force chaired by the Treasury secretary. A spokeswoman for Genworth confirmed the deal was held up by CFIUS for months. But a "mitigation agreement" that requires Genworth to use "a U.S.-based, third-party service provider to manage and protect the personal data of Genworth's U.S. policyholders" won the panel over, the spokeswoman told CNNMoney. The decision from CFIUS on the Oceanside-Genworth merger comes after a record number of Chinese deals were delayed or abandoned in 2017 because the group blocked them, according to a January report by Rhodium Group, a New York-based research firm. In January, MoneyGram called off its merger with Chinese financial services giant Ant Financial, citing objections from CFIUS. Lawmakers had raised concerns about the Chinese government gaining access to financial information about US citizens and stock markets. 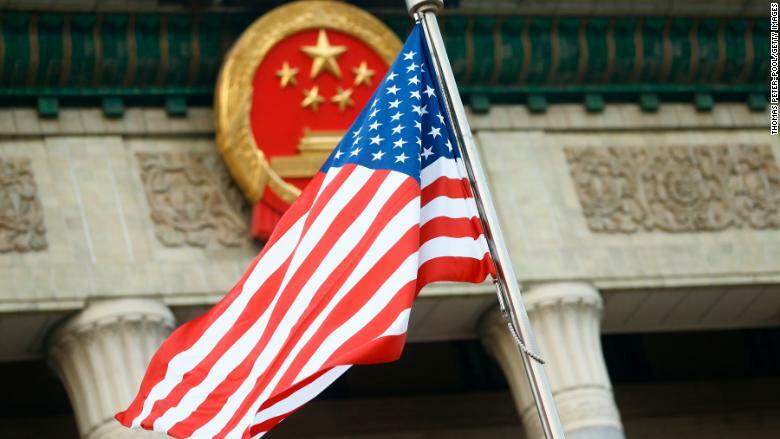 According to Rhodium Group, CFIUS "seems to have broadened its approach for reviewing Chinese deals," and is taking state efforts to obtain certain technologies and data protection concerns into greater account. The denials indicate the US government increasingly views certain foreign investment deals as potential security threats. And the United States recently identified China as one of the biggest concerns. Deals that involve certain tech products, like semiconductors, and those that involve Chinese investors appear to receive the most scrutiny. Earlier this year, President Donald Trump shut down a $117 billion deal between Broadcom, which is incorporated in Singapore, and US-based Qualcomm. The deal would have combined two computer chip makers, and a major concern was whether the merger would slow development of 5G technology stateside.